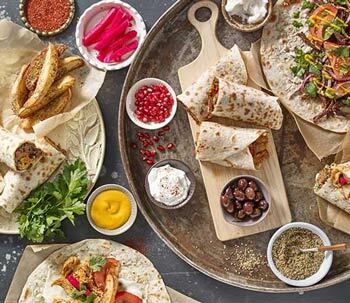 Anoush'ella is the work of husband-and-wife team Raffi and Nina Festekjian, who are drawing upon their Armenian-Lebanese heritage for inspiration. 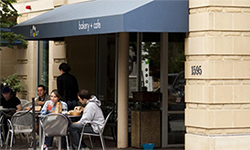 The restaurant offers both eat-in and take-out options, filling the South End neighborhood with street food-inspired dishes, including wraps, salads, and more. Breakfast and lunch, get it? Creative and affordable sandwiches and half pound cookies for dessert! This place draws a big crowd from the nearby medical centers and who knows better what’s good for than a doctor? 500 in Italian and in experience. Go-to for locals for brunch and they keep coming back for the handmade pasta dishes. Snag a patio seat in the warmer months. James Beard award winner Jamie Bissonnette serves up meats in ways you haven’t experienced, along with silky homemade pastas and high end thin crust pizza. Sit outside and gaze on the historic brownstones. Attentive and charming service compliments this authentic French Cambodian neighborhood spot. Great value and truly something for everyone in your group. Grab a spot at the bar or a table with a view. Authentic Cambodian and French fuse together in this convivial eatery. Your out-of-town guests don't have this at home! Satisfying and affordable Thai Food that does a great job with staples like pad thai and drunken noodles. A favorite of many a nearby student. Tapas Blitz Monday through Thursday 5-7pm- $1-5 tapas. Pair it with a crafted cocktail and your night is looking good. Check out Las Ventas next door for delectable Spanish sandwiches. Joanne Chang is a goddess. Every dessert she makes is heaven and her flagship bakery and cafe is right here. Call ahead to skip the line during lunch, but if you forget, its all worth the wait. It's a place you wish you lived down the street from and could pop in on a regular basis. The cozy, dimly lit ambience is perfect for a drink with friends or to mow on the steak frites with a side of corn and crab fritters. Full menu until 1:30am. 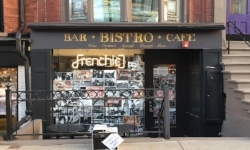 Frenchie is a sit down, easy-going neighborhood wine bar accompanying people in their everyday lives all day long. It is a space to meet, share and savor life, designed for people to relax while enjoying a French inspired menu. French Bistro comes south of Washington Street. Need a cocktail and some real eggs after strolling SoWa. Look no further. Come for brunch, stay for dinner. Serious coffee for even the most discerning coffee snob. They brew their own and make their own line of tea. Add to that an array of bubble teas, free wi-fi and a varied lunch selection and you have a landing spot. As Boston as it gets. Open for lunch and dinner and late night. Grab a burger and a beer on your way from checking out the 1,000 new units of construction. Classic diner, always busy, always affordable. Killer hash and chocolate chip pancakes. Closes at 3. Dan Dan noodles, enough said. Want more? Mama Chang’s dumplings, wok charred udon, pork buns. Cheap date night Mondays and Tuesdays. After you eat here normal sushi just won’t compare. Crafted by master chefs it takes dining to an art form. Come here for a special dinner or stop in for some sizable lunch plates. Intimate corner location with just a few candlelit tables. Get the empanadas and wash them down with the Sangria. Then just breath and order some more. Cozy sushi bar with a well curated selection of wines and craft beers, this neighborhood gem serves up lunch, dinner and the perfect spot for a quiet after-work stop-off. Owner and staff are a true delight. Grab a seat on their outdoor patio next to Blackstone Square in the heart of the South End or sidle up to the bar for some tasty drinks in a classy ambience. You won’t be disappointed by this classic Italian. The restaurant and bar you wish you had in your neighborhood. It’s cool without being too hipster, casual without being divey, and the food and drinks are amazing. Bustling cafe by day and cozy down to earth food by the fireplace in the evening. They’ve got meatloaf like your grandma’s and cupcakes that beat hers. Boston's first Senegalese restaurant, Teranga translates to hospitality in Wolof and they certainly deliver. Don't miss the national dish and some delicious house made juice drinks. Sit on the patio or the cozy inside, you'll feel at home either way. James Beard award-winner Jamie Bissonnette serves up not-so-typical tapas to the delight of all. No reservations so get there at 5 or risk missing out. Authentic Puerto Rican Food in the heart of Boston’s Puerto Rican neighborhood! True aficionados swear by the mofongo and everyone can agree on the affordability and the covered outdoor patio.